The bamboozle stretch is super soft and absorbent, made from sustainable bamboo. The Bamboozle stretch is designed to be used alongside the Peenut Wrap which provides the waterproof outer layer to keep baby dry – for every five Bambooze Stretch nappies you will need one Peenut wrap. Because it is super soft, the bamboozle stretch is perfect against sensitive skin and gives a great fit every time. Add an extra booster and the nappy will last through the night with no problems. 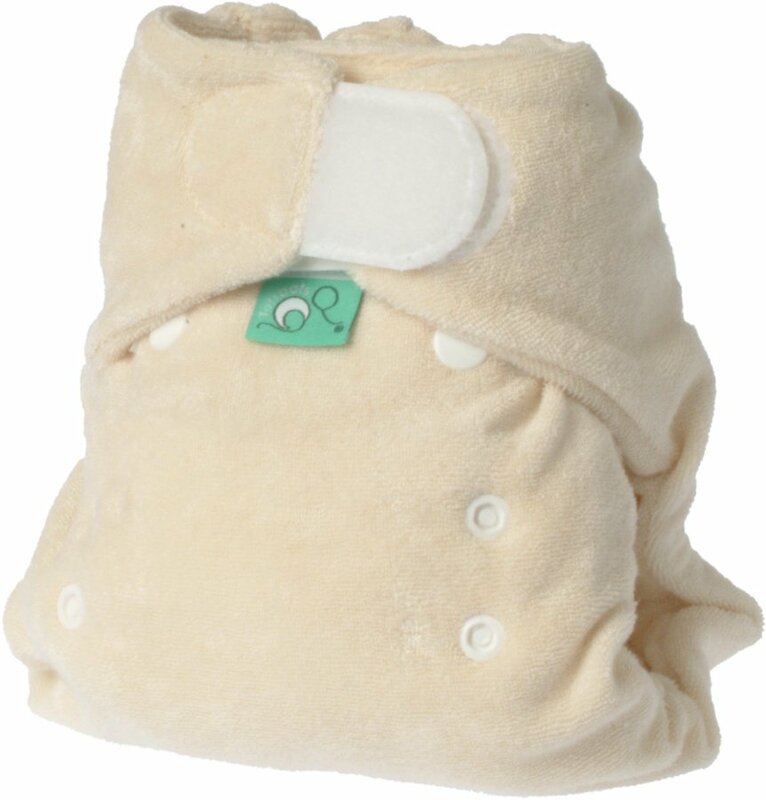 The nappy will stay softer for longs – even in hard water areas – and it fastens like a regular disposable nappy. Size 1 is ideal for twins and premature babies. 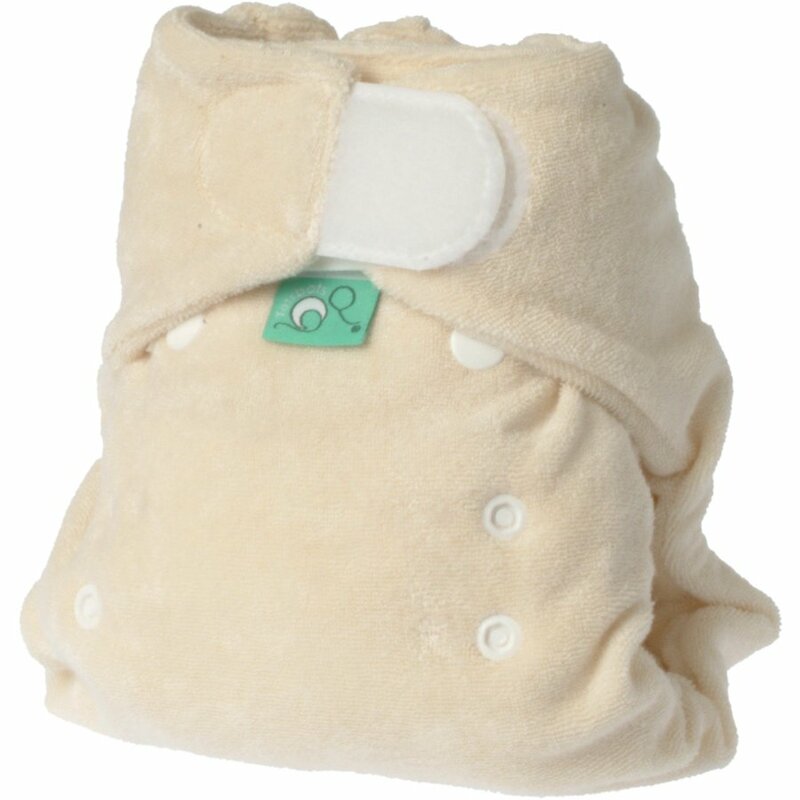 There are currently no questions to display about Tots Bots Bamboozle Stretch Reusable Nappy - Size 1. Founded by mummy and daddy team Fiona and Magnus Smyth, Tots Bots was created to promote a sustainable approach to child care. Having first-hand experience with disposable nappies, they wanted to ditch them and create their own brand of reusable cloth nappies . Based in Glasgow, their small operation has grown exponentially, but still manufactures everything in their own UK-based factory. Their eco-friendly, ultra-performing cloth nappies revolutionised the industry back in 2003 and continue to provide comfortable, easy-fitting nappies across 30 different countries to this day. Tots Bots aim to produce their products using ethically sourced raw materials while keeping their carbon footprint as low as possible, but their ultimate goal is to spread the word on cloth nappies. Go for long-term comfort with a Tots Bots nappy.